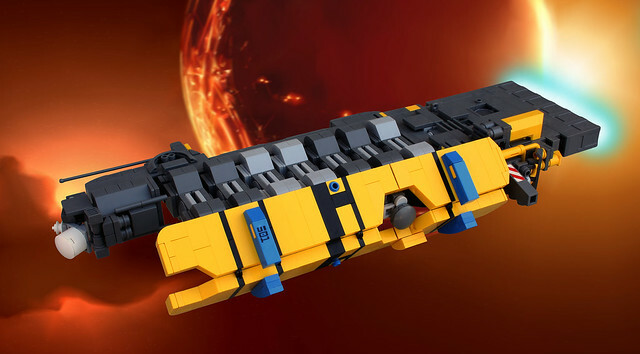 HomeWorld Is Where the Heart Is | Spaceship! Spaceship! Spaceship! ska2d2 has broken out the dark bley again with a new build which is apparently HomeWorld themed, although he’s not yet settled on a name or faction, or possibly a function. However it looks really functional, and I love the big yellow shield thing which stops it from being just a massive grey slab. He’s also got some really nice details going on, and the central section with the light bley tiles held in the brackets is fantastic. 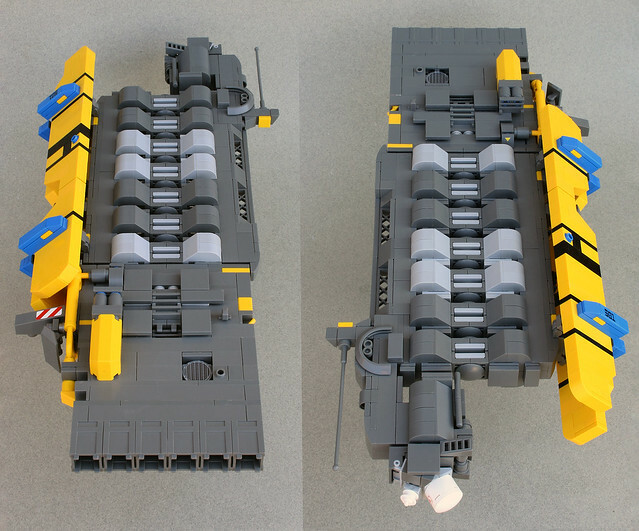 This entry was tagged Homeworld, microscale, MOC. Bookmark the permalink.